A good number of bloggers are active in the Stumble Upon community. In the Stumble Upon community, you work with other Stumblers to share interests and to find inspiration to write as well as learn things from internet tools and look at great photography pictures. 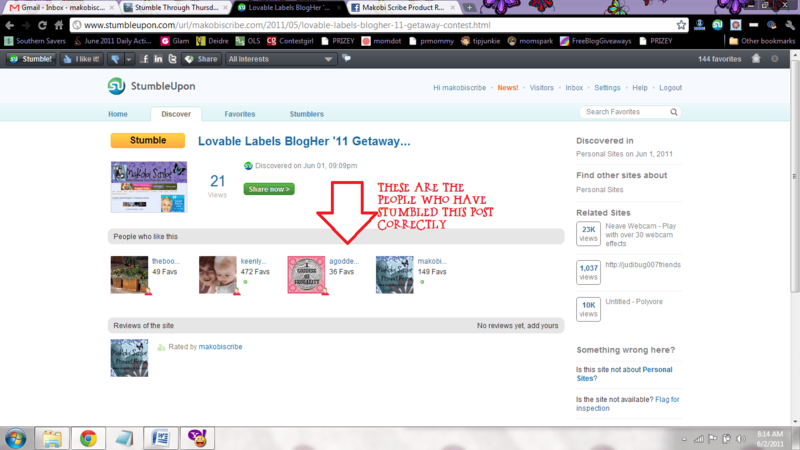 (Those two last hyperlinked words are actual tags from Stumble Upon). In order to effectively participate in Stumble Upon groups you need to build Stumble Upon Klout so to speak so your “discoveries” will have value. If one has a person “discover” their post to Stumble Upon with no klout, the post can end up being dead in the water and not getting picked up. If you want your posts (and the posts that you are stumbling) to be picked up (i.e. drive traffic to your blog), you need to utilize a few basic tactics. The first step is stumbling correctly. 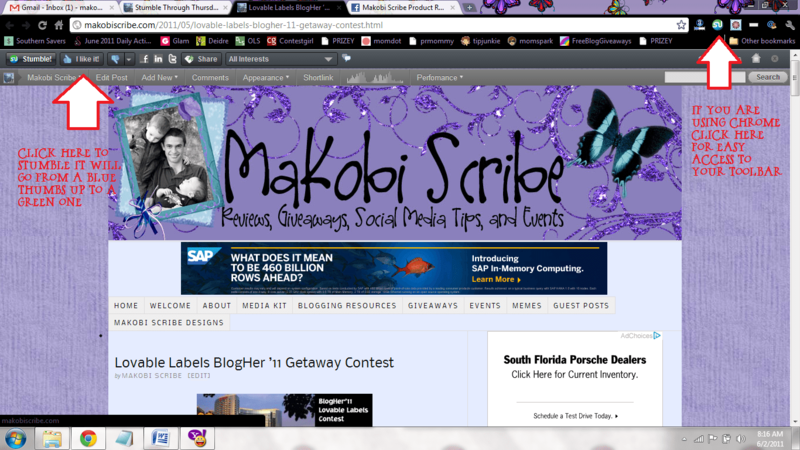 See Makobi Scribe’s HOW TO STUMBLE CORRECTLY WITH PICTURES (also reprinted below) and Simply Stacie’s tutorial. Next, tagging (categorizing) your post correctly. If you are supplying a category for someone to tag you with OR you are tagging someone else’s post you should use proper or popular Stumble Upon tags. If you tag your post or someone else’s with an obscure term no one uses or searches for, the chances of it getting picked up are slim to none. You can find recently hot tags and most popular all time tags to chose from at Stumble Upon Tags. Use a toolbar. 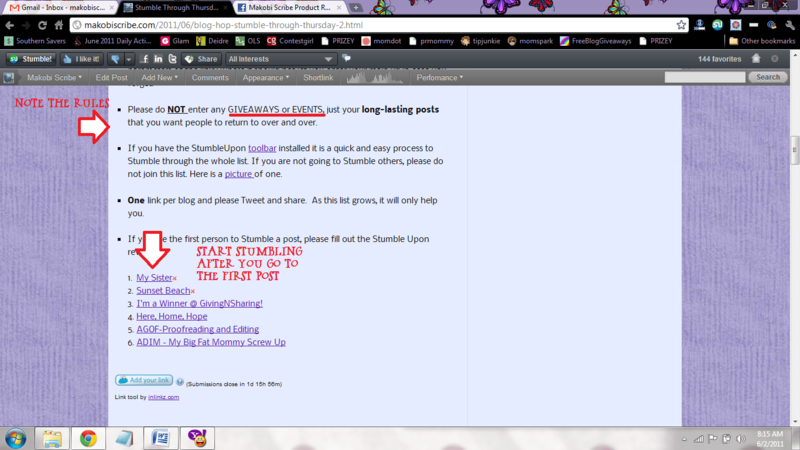 Stumble Upon wants you to use their toolbar, so posts that are Stumbled with it carry more value. Random Stumble in your spare time. Try different categories. See Why you should be active in Stumble Upon. and Simply Stacie’s, How to Stumble Random Posts. You need to review posts and discover on your own once in a while to balance out your likes. The more discoveries, reviews, and likes you have the greater your weight is as a stumbler. It dawned on me that maybe a Stumble Upon walk through might be needed. So, here goes. 2. Note the rules and start stumbling the first post, not the hop itself. Click on the picture to see. 3. Once you get to the post you are to Stumble (with your toolbar installed) Click the LIKE box It will go from blue to green if you did it correctly. 4. 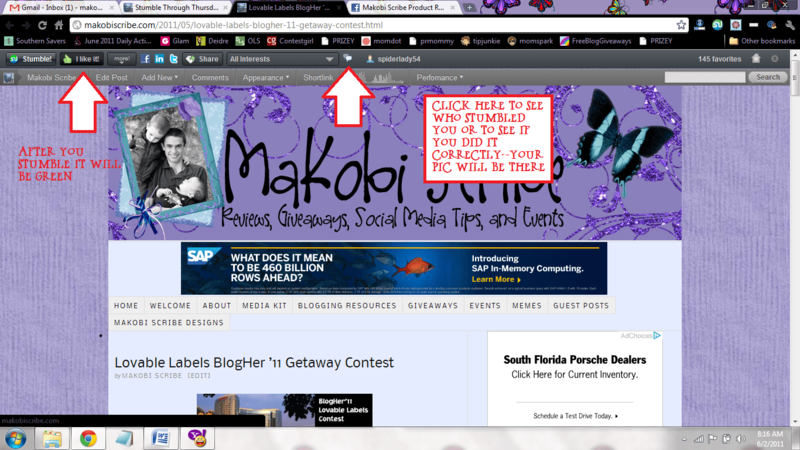 Click the review button (see picture) to see if you did it correctly. If you did your picture will be there. You can also check and see who stumbled your post and how many views it has had through Stumble Upon. 5. Is your picture there? If yes, you have Stumbled correctly!